Are We Over Licensed And Over Ticketed? R.J. Rushdoony: 00:01 Are we over-licensed and over-ticketed? This is R.J. Rushdoony with a report on our threatened freedom. R.J. Rushdoony: 00:08 A friend of mine, a retired Army colonel, has a son who is in deep trouble for exercising old-fashioned American enterprise and initiative. He is a young man just starting out in the working world, and jobs for photographers are scarce. He is, however, making a good living in spite of that, and for this he may land in jail. R.J. Rushdoony: 00:32 This young man takes his camera and a pony to supermarket parking lots to take pictures of children on his pony. The pictures are good ones and popular with young mothers. His problem, however, is the police. He does not have a license. Because this young man works in a metropolitan area of many suburban cities, to get a license for his territory means getting 82 licenses to be safe. To take out and keep renewed 82 licenses would mean that only all the cities involved would come out ahead in his work. R.J. Rushdoony: 01:10 People like this young man get worse treatment in court than most criminals. Two weeks ago he received a heavy fine and was told by the judge that he was the worst kind of lawbreaker and then assured of a year in the county jail if he were caught again. If you are mugged or robbed, the criminal is likely to get probation. This young man is doing something far worse, apparently. He is preventing the city from collecting taxes. R.J. Rushdoony: 01:42 Supposing he were to get the 82 licenses, which he cannot afford to do. Would his pictures be any better? All that the licenses would mean is that the city government would get their cut. We call the Mafia bad for shaking down businessmen. How different are these licenses? Do they constitute a shakedown racket and a money-raising scheme? R.J. Rushdoony: 02:09 Now, I believe that traffic tickets to people who endanger life and property serve a good purpose. But many of you are reporting to me that in your city all kinds of technical violations of no consequence draw tickets, and that in at least one case, councilmen have asked for more ticketing in order to have more city income. I hope this is not true. But the very fact that more and more people believe that such things are true indicates a radical lack of trust in civil agencies. R.J. Rushdoony: 02:44 The fact is that we are over-licensed and over-regulated. It is precisely the law-abiding people of our country who are made the target of shakedowns at every turn. We pay the taxes. We pay the licenses, and we pay the tickets, and we get less and less for our money. R.J. Rushdoony: 03:05 Times are bad, and that young man with his camera and pony had the right idea. Not welfare, but a paying job. Over and over again we Americans have worked our way out of tough problems created for us by bad politicians. Now we have a tougher battle, because this time it takes a license to work. We are limiting freedom and independence, and in doing so, we are limiting our future. 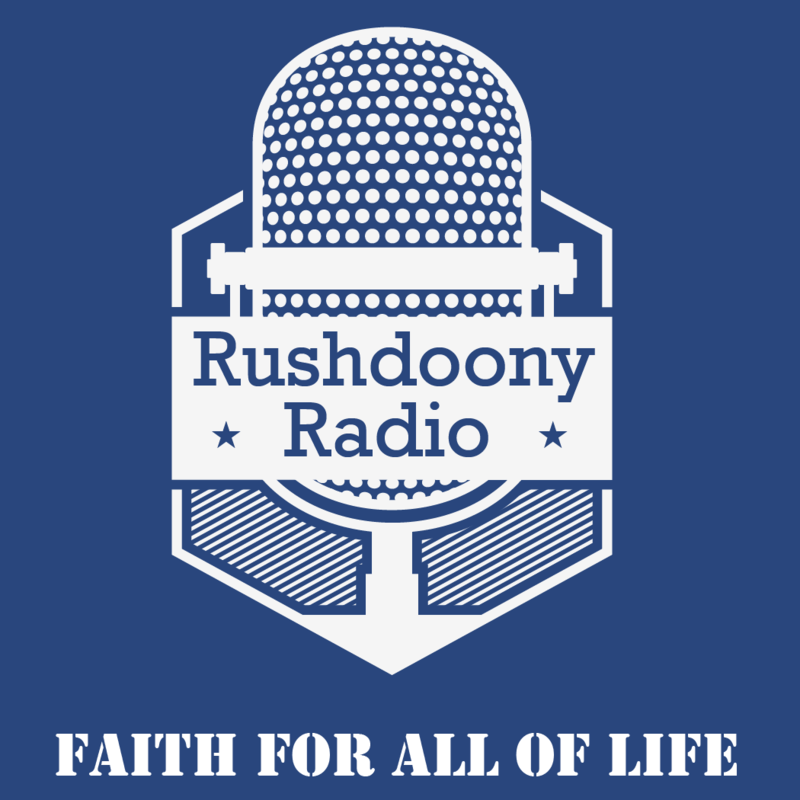 R.J. Rushdoony: 03:34 This has been R.J. Rushdoony with a report on our threatened freedom.